All these wines were made exclusively for, and thanks to, NakedWines.com Angels. It means you probably won't recognise the labels. So how do you know which wines to try and which to avoid? If we know enough about your tastes we'll put a green check mark on wines you'll love, and a red cross on those to avoid. Simple. See how many people rated the wine positively after they tried it. Not too expensive, not too cheap. 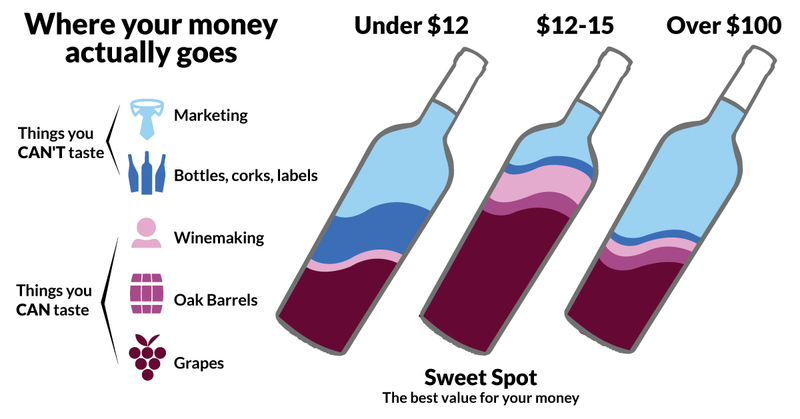 Wines in the Sweet Spot give you a LOT more bang for your buck. After a decadent Rioja with a 90% rating that costs between $10 and $15? Use the filters to narrow your search smarty pants. Looking at what you've enjoyed before, we think you'll love this too! Sublimely silky, with rich, dark ripe fruit and an incredible enduring finish....mmmm. You can taste all the extra loving care that makes this red so downright delicious. Your funding supported Irene's dream to make a single-vineyard ultra-premium Carmenere – using handpicked grapes from Peumo, a small village in Chile's Cachapoal Valley. Pair this champion red from Chile with soul-warming Chili con Carne. It's a fated match, especially when served with a warm wedge of buttered cornbread. *Excludes some zip codes. Delivery is included, when you spend $100 of your money i.e. voucher spend is excluded. We can't find a NakedWines.com account linked to your Facebook account based on your email address, please register a new account here or link your existing account after logging in. Our Angels support independent winemakers by investing $40 a month into their nakedwines.com account, to spend whenever they want - in return for discounts, samples, exclusive wines and more. By spending $12-$15 for a bottle of wine, you're actually getting more than DOUBLE the quality of wine than a $6-$7 bottle …pretty impressive huh?